► Are digital dials really here to stay? 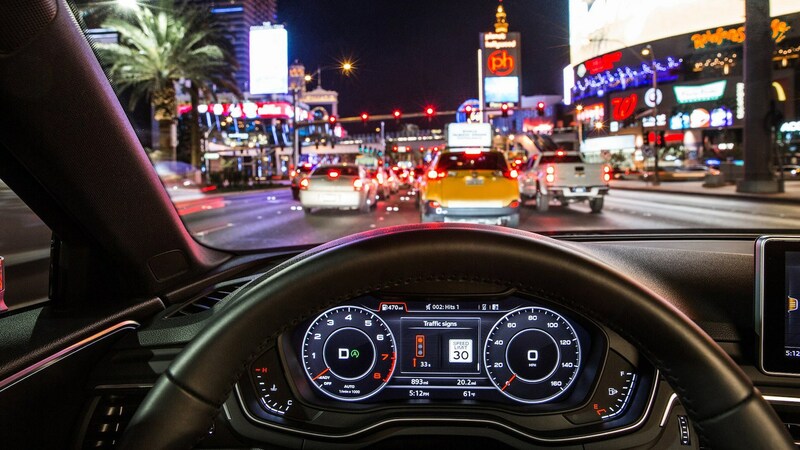 You know when in-car technology is still the preserve of early adopters when your passengers are transfixed with a wide-eyed gaze upon your latest gizmo – and so it is with adaptive digital instrumentation, or to pinch Audi’s parlance, the Virtual Cockpit. Audi Virtual Cockpit: what is it? 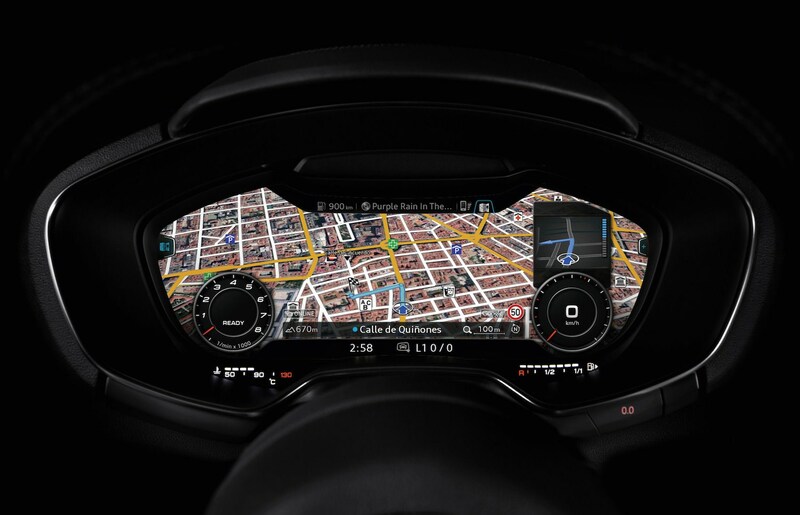 Simply put, Audi’s Virtual Cockpit replaces your usual analogue dials with an adaptive TFT screen. That means you’re able to use it much like an infotainment system, bringing up everything from music playlists to sat-nav directions – and everything in-between. 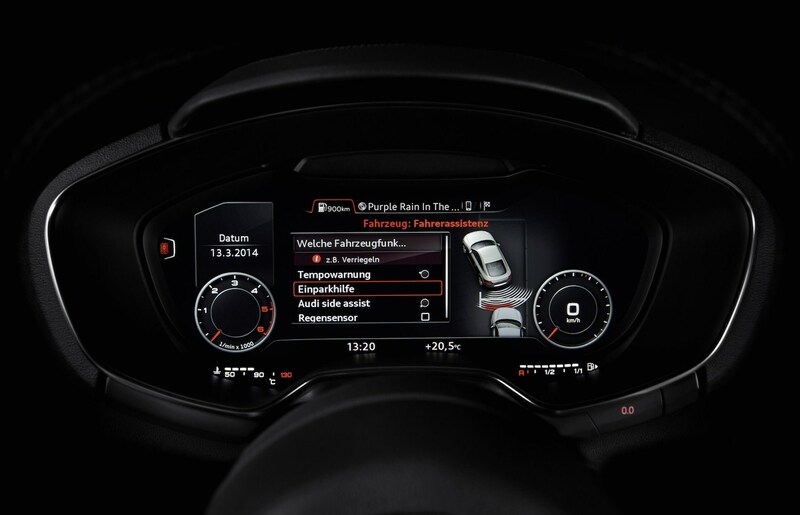 It’s not touchscreen, and usually relies on voice-control or steering-wheel-mounted controls to operate, and thanks to the magic of the VW Group, you’ll find it almost entirely across the Audi range, with other versions like VW’s Active Info display installed in other VAG group cars. Want to know the history of the Audi Virtual Cockpit, what it can do for you – and why it’s probably worth speccing your next car with? Audi Virtual Cockpit: they’re not exactly new are they? If you’re a dyed-in-the-wool car buff somewhere north of 35 years of age, two childhood memories will resonate strongly: KITT from Knight Rider and the Mk2 Vauxhall Astra GTE. Forget the General Motors connection, what was really important to a 10-year-old kid was the gaudy, primary-coloured palette of digital dials. Not only did they look cool, they felt like the future was already here in the mid-1980s, particularly when your parents’ car’s clocks were analogue and backlit in Mateus Rose bottle green. Of course, motor shows and magazines had been predicting all manner of LCD and LED instruments since the advent of the pocket calculator over a decade earlier, but all too often the buying public weren’t so keen when they finally became available. Austin’s attempt to tszuj-up the Maestro with a digital speedo and verbal warnings soon went by the wayside, while Fiat’s full-width electronic-fest in the first-generation Tipo didn’t have as long a product life-cycle as the car it was fitted to. All this meant that contrary to the experts-of-the-time’s collective opinion, rather than being commonplace by the 1990s, digital instruments have remained the exception rather than the rule. Perhaps until now. Audi Virtual Cockpit: so what’s new? You can thank the proliferation of smartphones and tablets for lowering the unit cost of compact, configurable LCD screens, which in turn has made them much more financially attractive to car manufacturers. 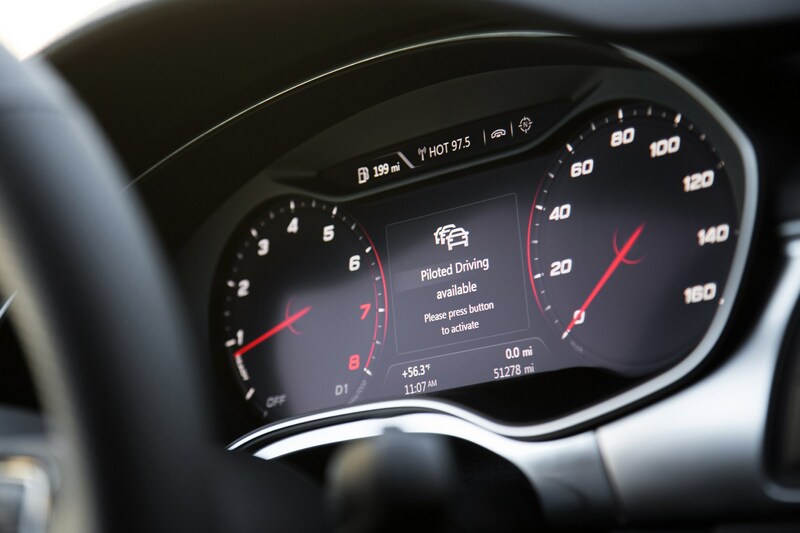 For consumers they’re slowly becoming a more viable consideration as an optional extra – Volkswagen typically charges £600 for its Active Info Display – so they’re self-evidently a few years away yet from being standard fitment across mainstream models. What’s certainly clear is that an ever-increasing number of new and facelifted models are available with both traditional instruments (or as Mercedes refers to them ‘Tubular Dials’, which isn’t a little-known Mike Oldfield album) and some form of adaptable electronic display (the Comand Digital Instrument Panel in Benzspeak). 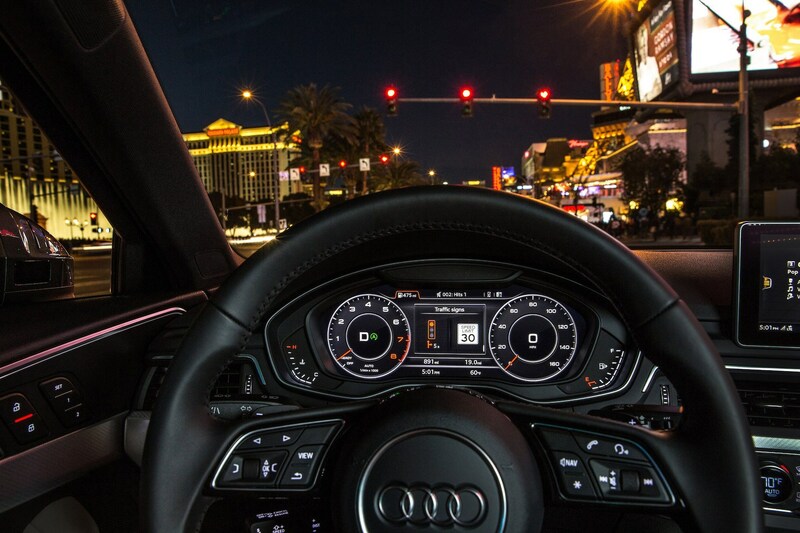 Audi Virtual Cockpit: why have it? Beyond the superficial notion that they look slick, rather like a Head-Up Display system, an adaptive instrument binnacle is one of those technological steps that you wonder how you managed without it before. Invariably they allow the driver to configure the look and size of the instruments, as well as varying the scope and depth of data available at a glance. 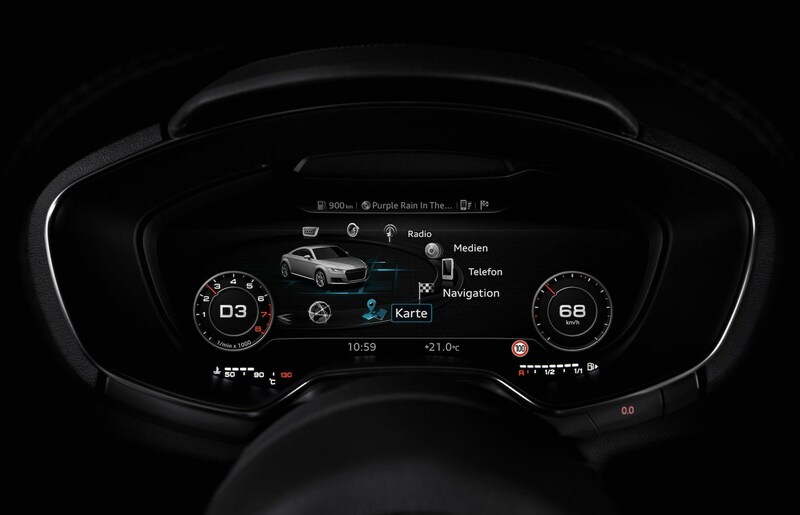 In addition to drilling down through all sorts of fuel efficiency and eco-driving statistics, the Virtual Cockpit will also present information about what you’re listening to media-wise, who you’re talking to on the phone or, on high performance S- and RS-grade Audis, for instance, data about tyre temperatures and G-forces pulled while cornering. But forget all that, because it always seems to be the sat-nav – or more specifically rendered satellite images with overlaid maps – that get your passengers gawping. They’d have you using it to go around the block if you let them. Audi Virtual Cockpit: but you can get all that on a normal screen? Indeed you can, but when driving having the map and turn-by-turn directional instructions projected from immediately below your driving eyeline feels much more natural. And in modern cars with so many other things vying for your attention – even before the kids are on-board – that’s got to be safer. There’s already an early sign of trends moving onwards too, with newer display systems ditching the earlier skeuomorphic designs in favour of flatter graphics, again replicating what’s happening in the smartphone industry. After all, shouldn’t something designed in the digital age look, well, digital? So that’s it, the future we were promised three decades ago is finally upon us meaning we’ll soon be writing the obituary for traditional, analogue dials. Or will we?